One of the weirdest sports the world has ever seen is Moto-Ball: It’s like polo, but with motorcycles instead of horses. A Moto-Ball field is the same size as a soccer pitch, but the ball is bigger than a regular soccer ball. The goalkeeper is the only person not riding a bike—and probably has a high chance of suffering a truly horrific injury. 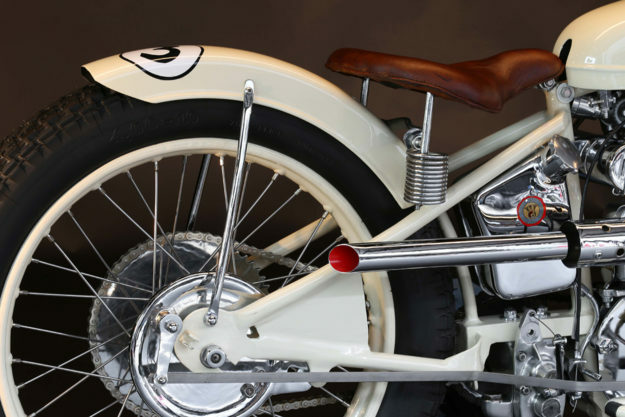 Moto-Ball is a minority sport these days, but 80 years ago it prompted the creation of some truly lovely bikes. This is one of them, a Koehler-Escoffier with remarkably modern proportions. 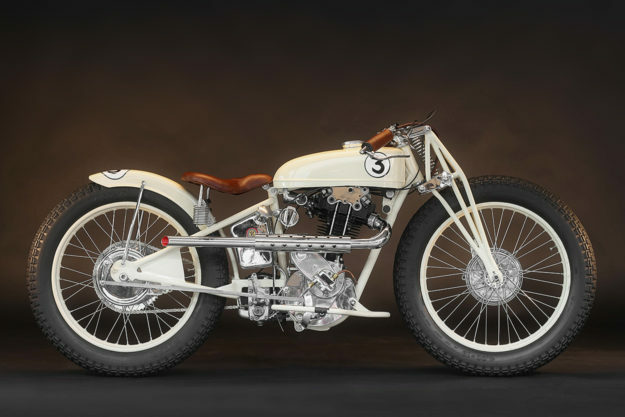 It’s a restoration by Serge Bueno of Heroes Motorcycles in Los Angeles, a shop with a staggering inventory of desirable two-wheelers. 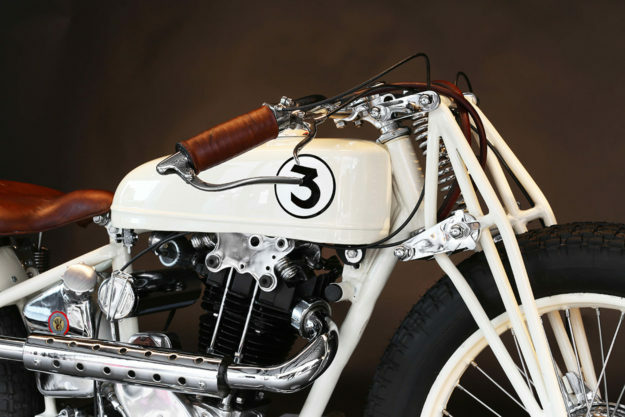 Serge has resurrected well over a hundred vintage and classic bikes, first with workshops in Paris and Normandy, and now with his latest venture on La Brea Avenue. 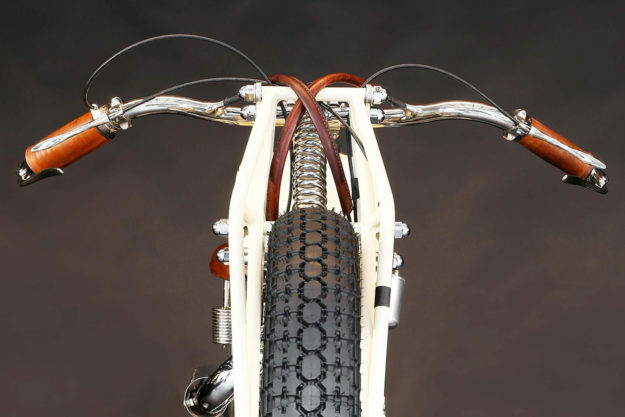 The quality of his work is extraordinary, right down to the authentic leather-wrapped cable coverings. 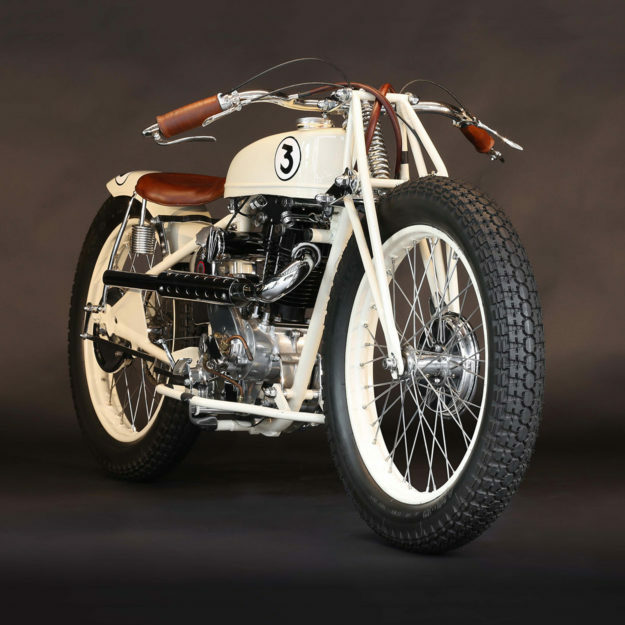 Koehler-Escoffier and its parent company Monet-Goyon dominated Moto-Ball from 1933 to 1938 with machines such as this 350cc special. It’s geared for acceleration: despite an output of only nine horsepower and a rev limit of 4,500 rpm, the Koehler can reach a brisk 80 kph (50 mph) on the playing field. 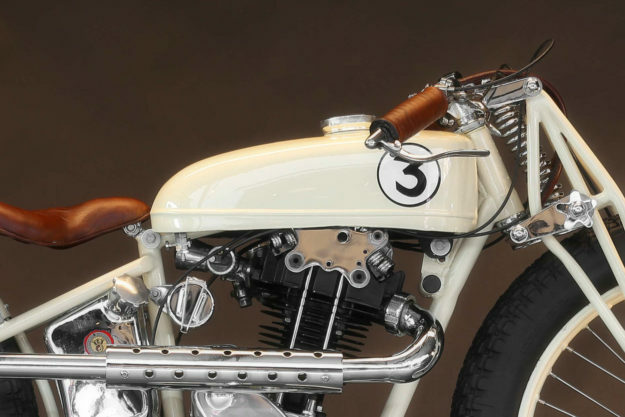 Elements like the parallelogram-style girder forks and 19-inch wheels with chunky tires look just ‘right’ to modern eyes, with none of the spindly aesthetics we usually associate with early motorcycles. The tank is not original, but it’s from a contemporary 98cc Koehler—with a low profile that suits the bike just perfectly. This sort of quality is not cheap—it’ll cost $35,000 to put the Koehler-Escoffier in your own garage. But that buys you a genuine piece of history—an exceptionally rare motorcycle with provenance—and a world-class resto job. 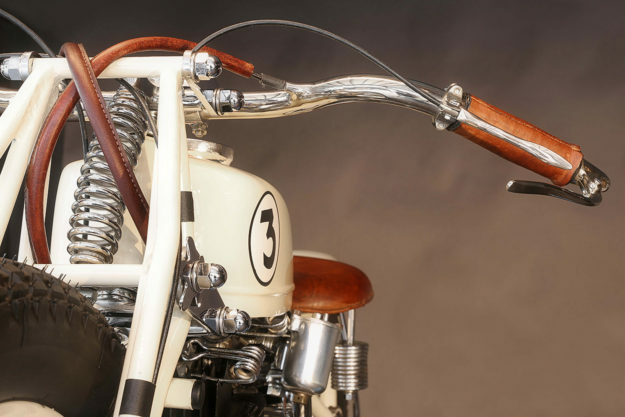 We’ll take this bike over a stock market investment any day, thanks.